Directory changes – any changes in a directory (new files, removal of files, modification of files) can be tracked using this agent configuration. AxonDB logs – AxonDB is a special type of non-relational database. We support its custom log format. Any combination of the above can be configured. Note that for some target types the agent can be installed on a different machine than the actual log source. For example, in case of database tables or database audit trail, the agent can be installed on another machine that connects to the database server via a database connection string and credentials. Full configuration details can be seen here. 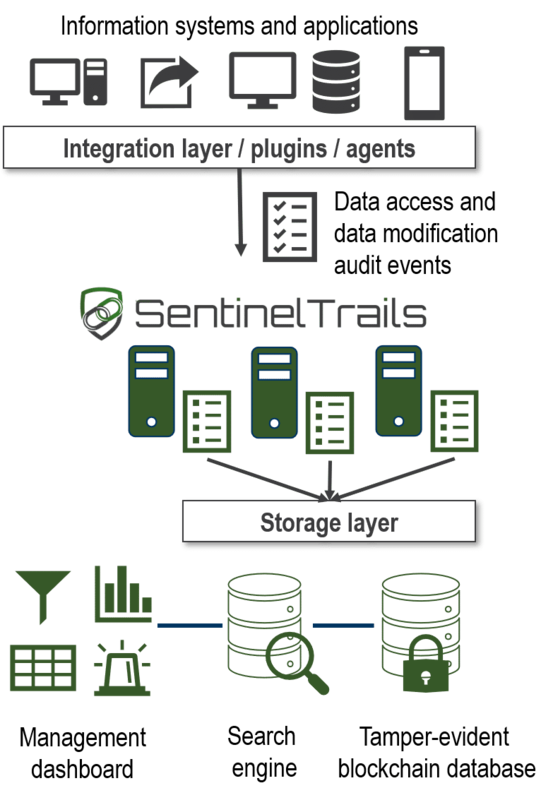 All communication between the agent and the Sentinel Trails service is encrypted. Linux installation is done through a shell script. The agent runs as a daemon.